Bogotá has a bad reputation. Read any travel thread about the Colombian capital and watch it devolve into murder and kidnapping. 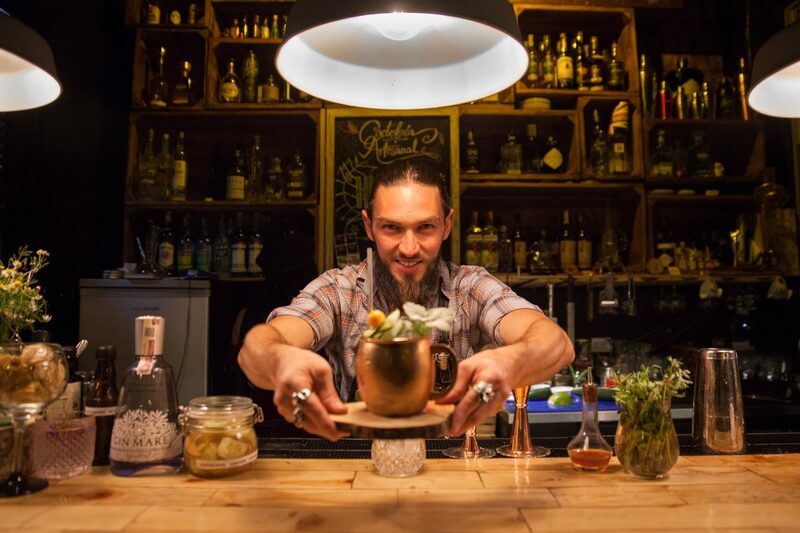 Sure, Bogotá is a city that requires street smarts. You can’t just wander the avenues at night. But the Bogotá of today is nothing like the 80s. Allow me to submit the Sunday Ciclovía and Festival Estéro Picnic as proof. 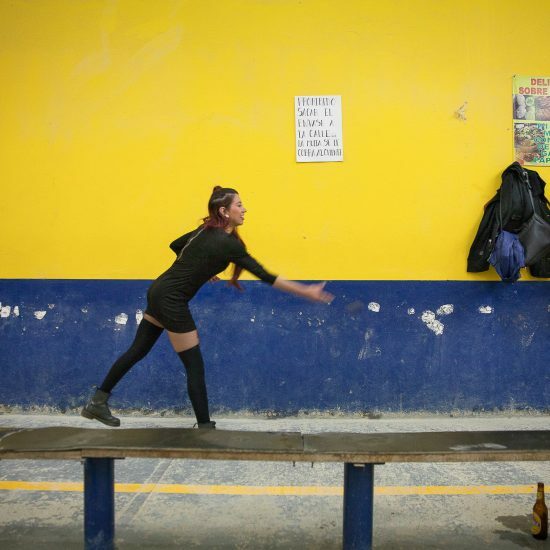 Bogotá has hipster bars and fine dining, guinea pig races and games with gunpowder. 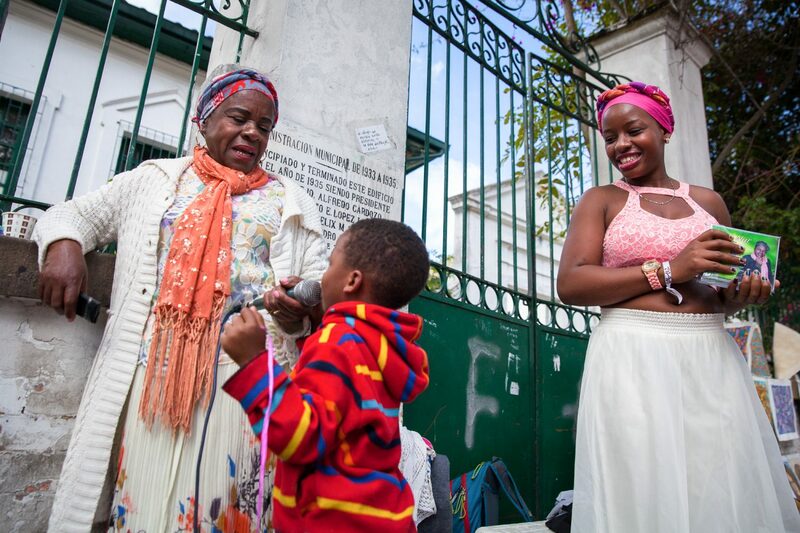 You can walk between Dalí sculptures and Botero paintings, or dance to Cumbia in the park. There are mountains and coffee farms and urban green spaces with carts selling sweet Colombian bites. Bogotá is one of those places that will take you by surprise. 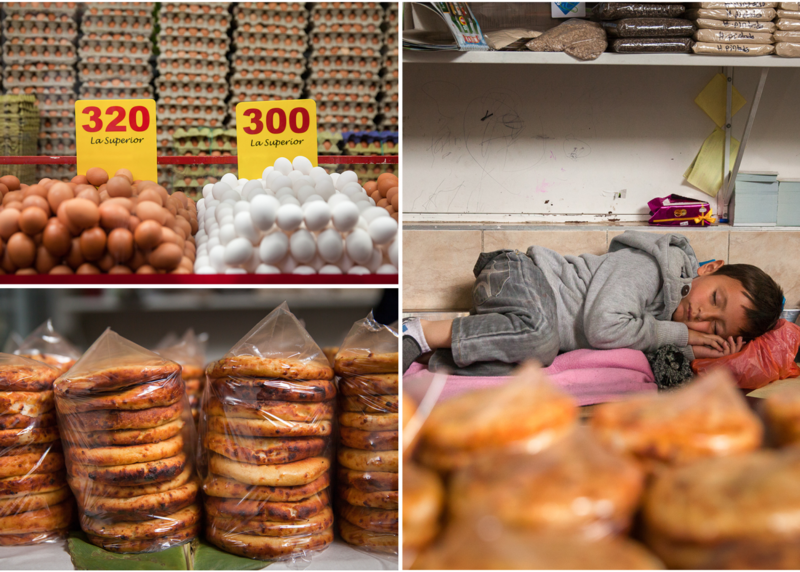 Here’s some of the best of Bogotá in photos. 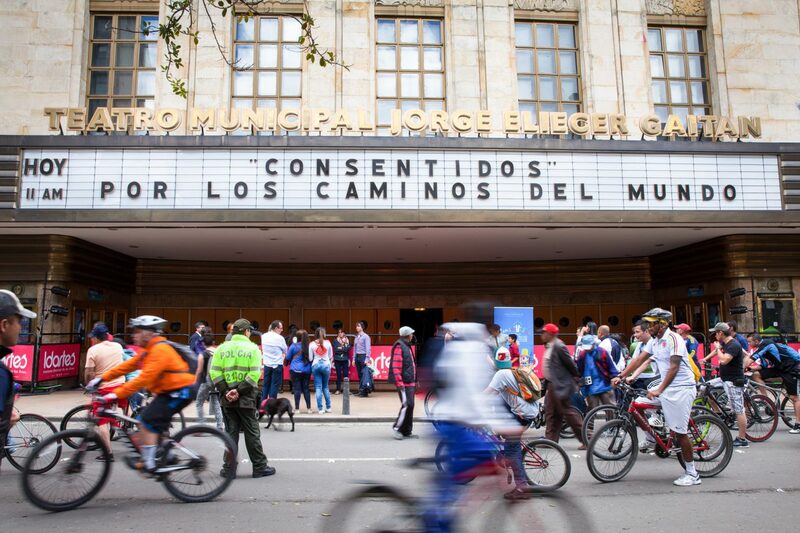 Every Sunday in Bogotá, roads are closed to make way for outdoor enthusiasts. You can cycle, run, skateboard and walk, or keep pace with the Abuelas on scooters. The energy is electric and the street food divine. It’s a city outing you don’t want to miss. 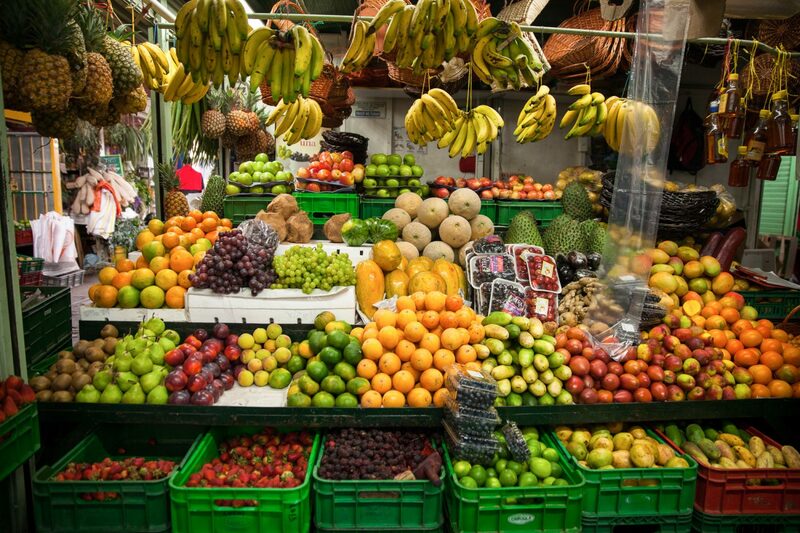 Colombia has a wide variety of tropical fruits, most of which can be found in Paloquemao Market. Look for lulo, the orange fruit from the Andes, and its popular sweet drink lulada. Spend an hour or two getting lost in the market. Paloquemao is a space worth exploring. 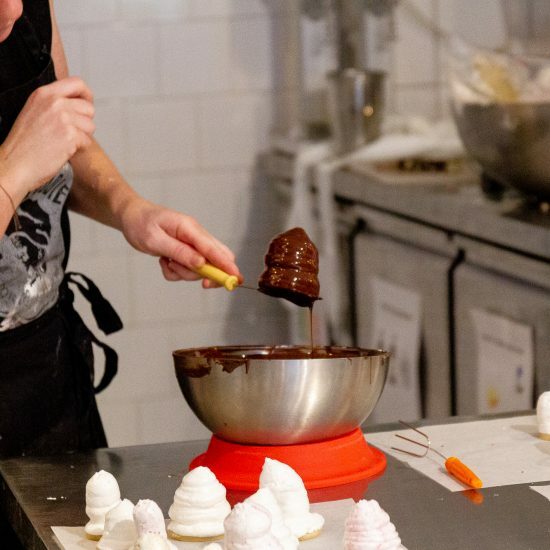 Flavors of Bogota has a DIY guide to Paloquemao Market while Bogotá Foodie and La Mesa arrange guided tours. 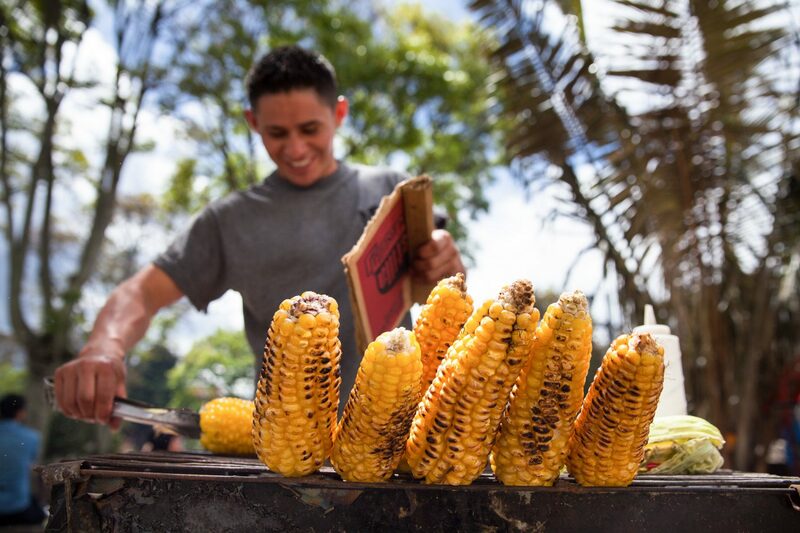 Usaquén is a quaint, colonial village that comes alive for its Sunday Market. The neighborhood also has some of Bogotá’s best cafés and restaurants. Ah, tejo. The indigenous game of gunpowder and precision was one of my favorite experiences while in Bogotá. The game is easy to pick up and fun to play. Read more about tejo here. Although coffee has been grown in Colombia for hundreds of years, you could never find the good stuff in country. Thankfully this trend is changing. Every year more and more cafés specialize in local, artisanal brews. 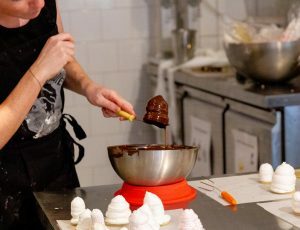 Eater has a rundown of where to get a good cup in Bogotá while Flavors of Bogota offers a unique coffee workshop. If you’re into colorful textiles, then you’ll love Colombian mochilas — soft satchels woven by traditional methods. There’s the Wayuu Mochila; a crocheted, cross-body bag from the indigenous Wayuu of northern Colombia. And the Mochila Arhuaca; a less colorful knapsack made of agave, wool and cotton. 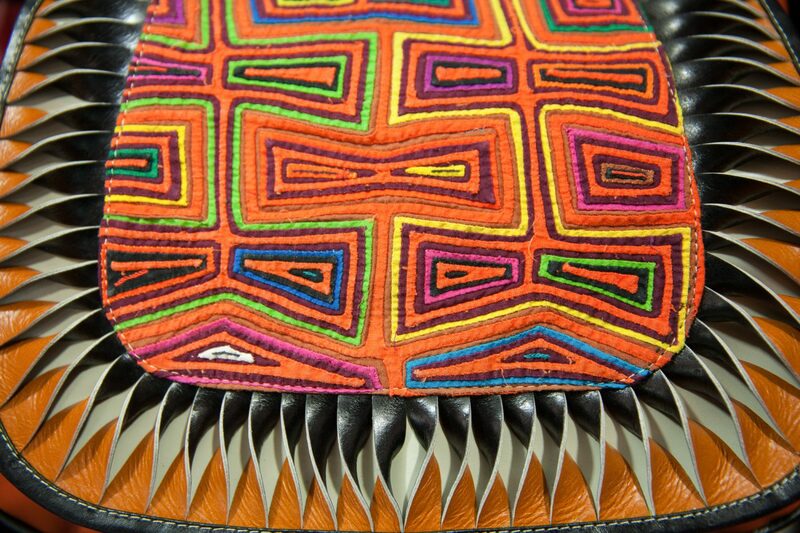 Then there are Mola bags; a leather purse with Mola textile woven by the Kuna from Colombia’s coast. They all make for beautiful gifts. You can find them wherever foreigners frequent including the Usaquén Sunday Market, Centro Colombiano de Artesanías and El Market in the El Dorado International Airport. Bogotá has incredible street art. The most photographed is the pedestrian passage Calle del Embudo, but there are murals all around the city. 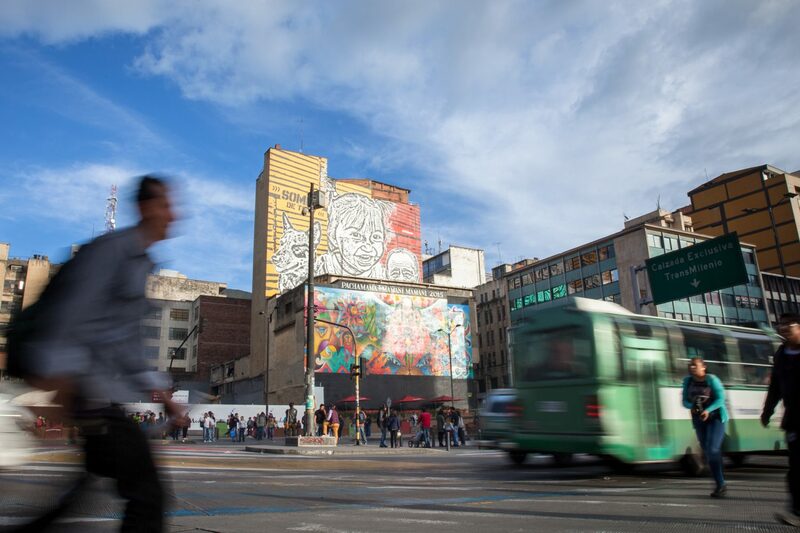 For the full street art experience, including the tragic history around which it was born, book a spot on the Bogotá Graffiti Tour. The free tours run regularly and are organized by local street artists. 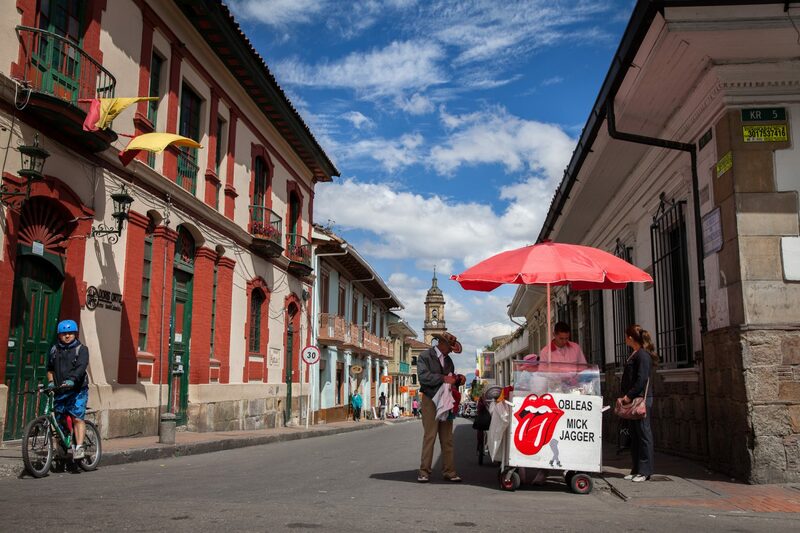 The majority of Bogotá’s historical sites are in its ‘Old City’ La Candelaria. 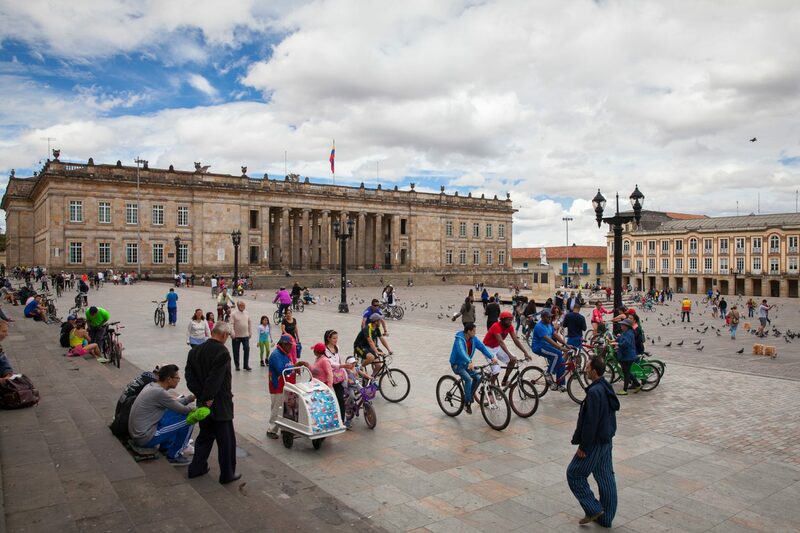 Start in Plaza de Bolívar and see popular sights like Catedral Primada de Colombia, Museo Botero and Museo del Oro (technically not in La Candelaria). Vegetarians should grab a bite at Quinua y Amaranto. Even carnivores love their quinoa empanadas. There are a number of free and paid walking tours of La Candelaria with some like Bogotá & Beyond including food. Arequipe – Dulce de leche or sweetened milk, boiled until it’s thick and brown. Obleas – Thin wafers with arequipe, jam or cheese. Cocadas – Shredded coconut with sugar and milk. 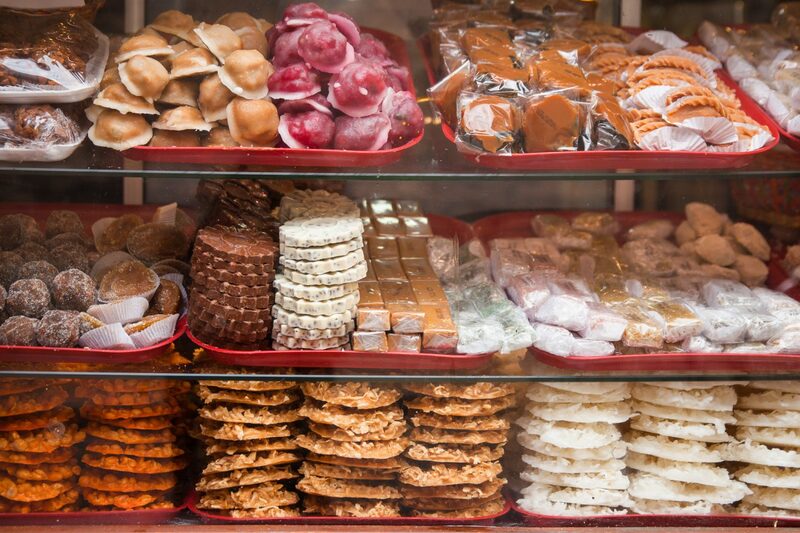 Panelitas – Unrefined cane sugar (panela), boiled and made into a candy. Tamarindos – Sweet tamarind balls. Brevas con Arequipe – Sweet figs with arequipe. Herpo – A waffle and dulce de leche cookie. Bocadillo con Queso – Salty white cheese with sweet guava paste. 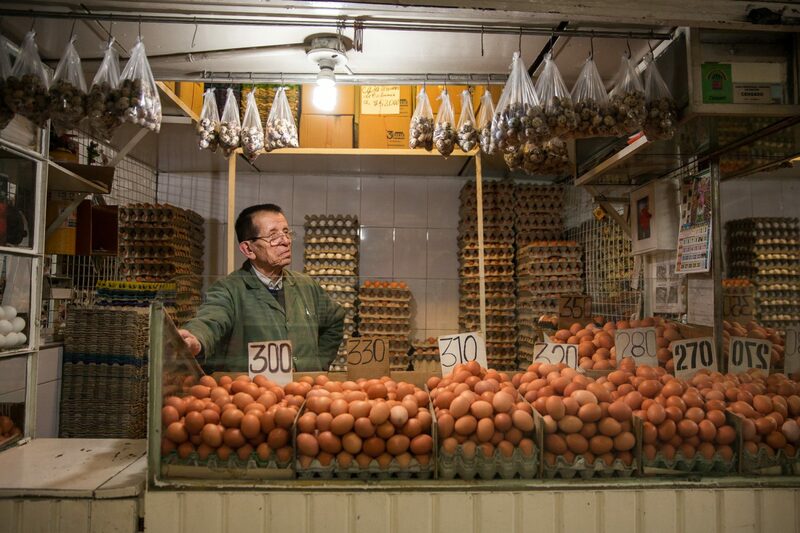 Bogotá may not have Lima’s culinary chops but the city does serve up one hell of a stew. 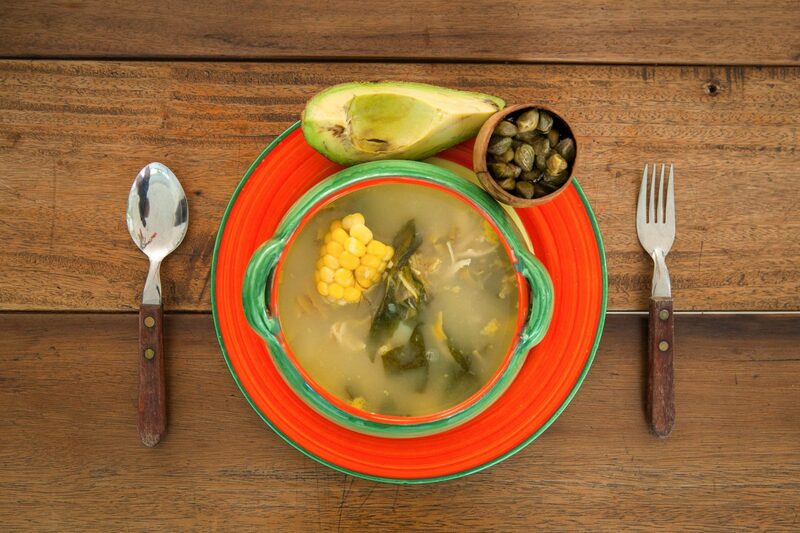 There’s ajiaco (chicken and corn) and sancocho (meat and potatoes), caldo de costilla (beef ribs) and cazuela (seafood), and countless other soups from the Andean region. On a cold, rainy day — and there are plenty in Bogotá — there’s nothing like a hot bowl of Colombian stew. 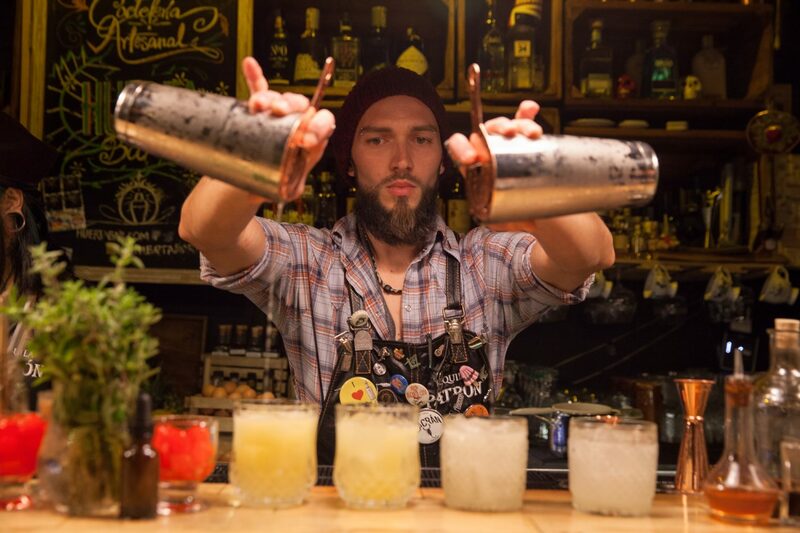 Bogotá is a city that eats and parties, so it’s not hard to find something at night. Zona G (southern Chapinero) is the fine dining hub while Zona Rosa (northern Chapinero) has the high-end shopping and nightlife. 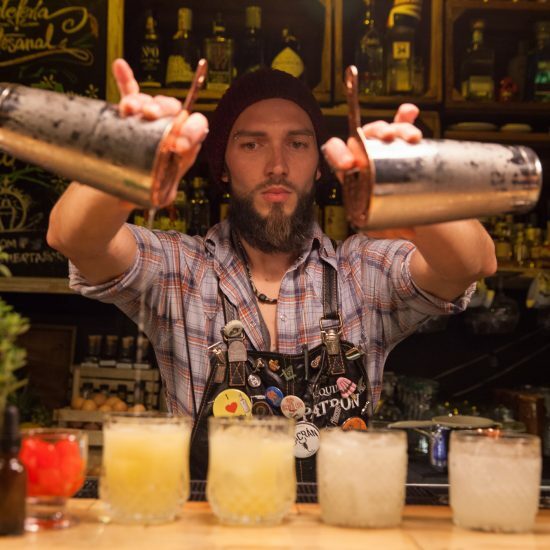 If you’re looking for artisanal cocktails without the club atmosphere, Huerta Bar Coctelería Artesanal is one of the local favorites.